Historical events have long been the standard lens through which scholars have sought to understand the theology of Christianity in late antiquity. 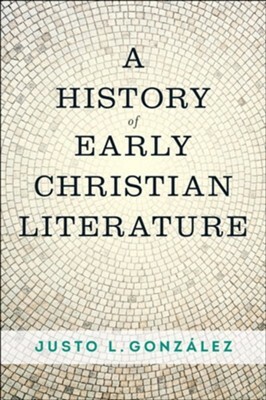 The lives of significant theological figures, the rejection of individuals and movements as heretical, and the Trinitarian and christological controversiesthe defining theological events of the early churchhave long provided the framework with which to understand the development of early Christian belief. In this groundbreaking work, esteemed historian of Christianity Justo Gonz&aacute;lez chooses to focus on the literature of early Christianity. Beginning with the epistolary writings of the earliest Christian writers of the second century CE, he moves through apologies, martyrologies, antiheretical polemics, biblical commentaries, sermons, all the way up through Augustines invention of spiritual autobiography and beyond. Throughout he demonstrates how literary genre played a decisive role in the construction of theological meaning. Covering the earliest noncanonical Christian writings through the fifth century and later, this book will serve as an indispensable guide to students studying the theology of the early church. I'm the author/artist and I want to review A History of Early Christian Literature.